Just after the abandonment of the shuttle Route 5 (Hauptbahnhof [Central Station] - Bruneckerstraße) on 28 June 1936, and the electrification and extension of Route 6 to the Central Station on the same day. Steam trams: 1891 - 1910. Electric trams: 1905 - today. 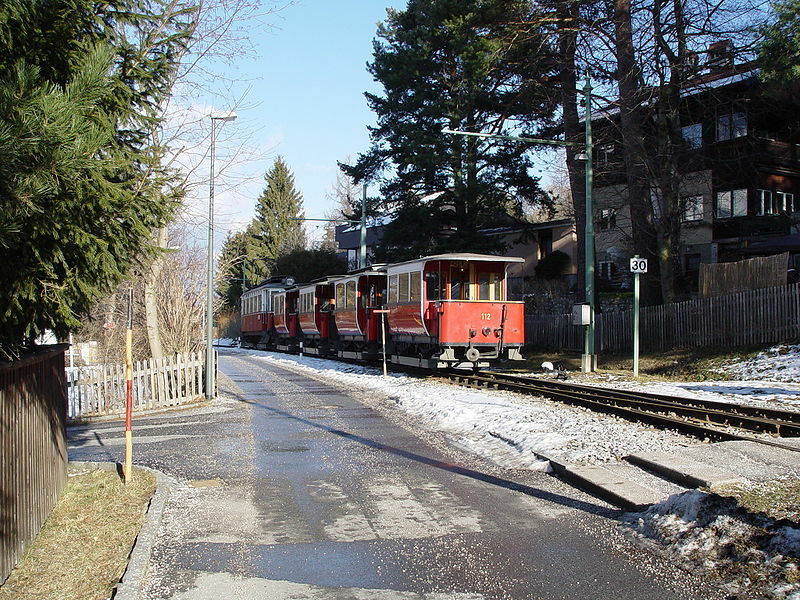 The volunteer organization Tiroler MuseumsBahnen operates a tramway museum at the old terminus of the Stubaitalbahn. It also runs preserved old trams on city tracks. Deacon, R. "Innsbruck expansion: The next level", Tramways & Urban Transit, Jan. 2016 (79:937), p.20-23. 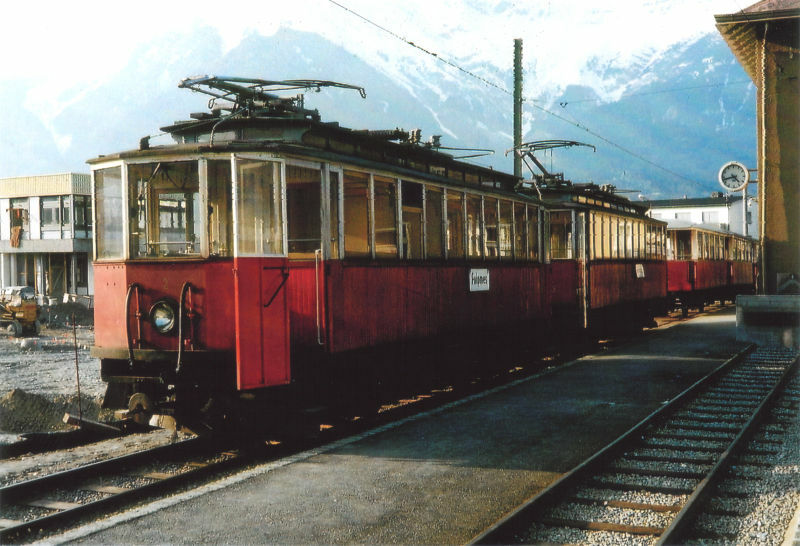 Deacon, R. "Innsbruck: Tramway fit for the modern age", Tramways & Urban Transit, Aug. 2004 (67: 800), p.294-296. Deacon, R. "Innsbruck: Tramway in transition", Tramways & Urban Transit, Feb. 2009 (72: 854), p.54-57. 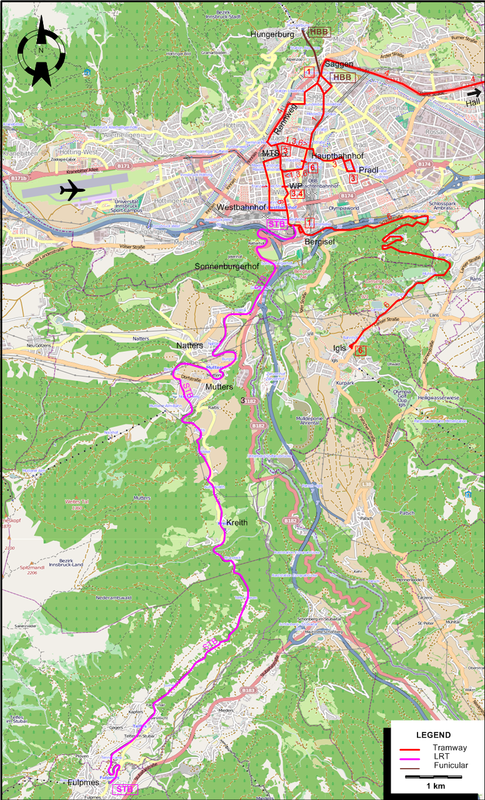 Plefka, E. "The Tramways of Innsbruck", Modern Tramway and Light Rail Transit, Apr. and May 1983 (46: 544-545), p.110-118; 154-164. Pulling, N. "Systems Factfile No.46 - Innsbruck, Austria", Tramways & Urban Transit, Aug. 2011 (74: 884), p.307-309. 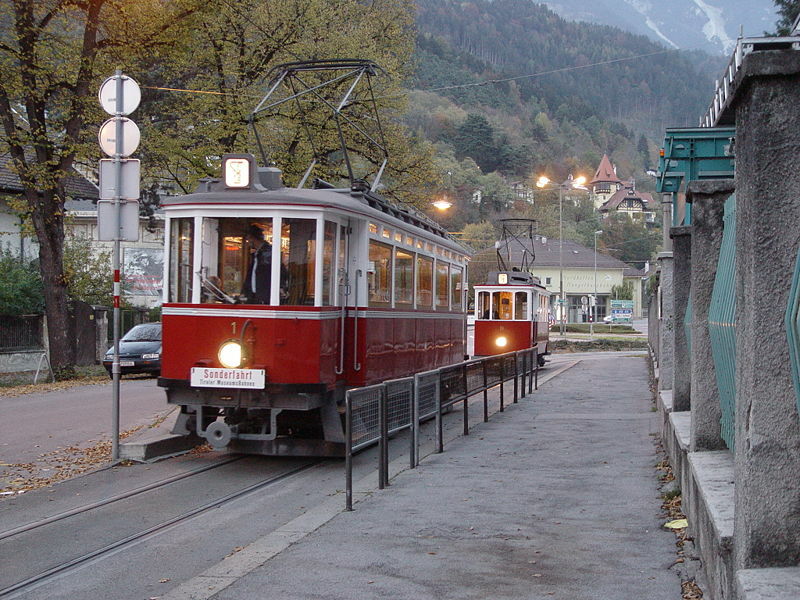 Pulling, N. "Systems Factfile No.137 - Innsbruck, Austria", Tramways & Urban Transit, Mar. 2019 (82: 975), p.104-109.